Here at Micro, we know that each ride and rider are different. 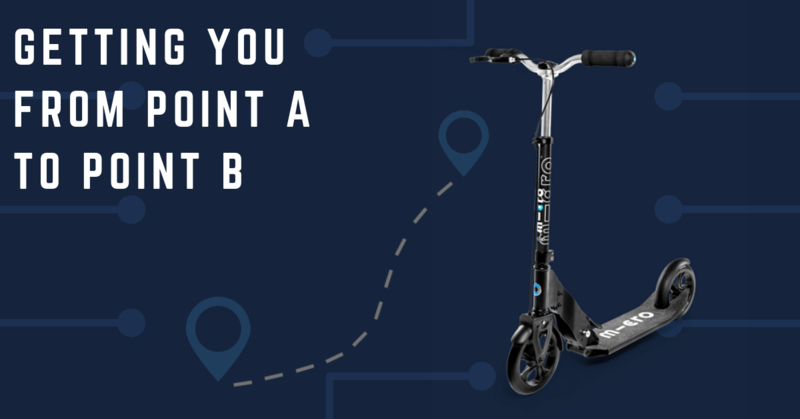 That’s why over the years we’ve innovated scooters to support larger adults, another to keep you riding smoothly on bumpy surfaces, scooters for effortless rides, and more for your every day in between. The one thing we were missing? The scooter created for your urban ride. Enter the Micro Downtown. 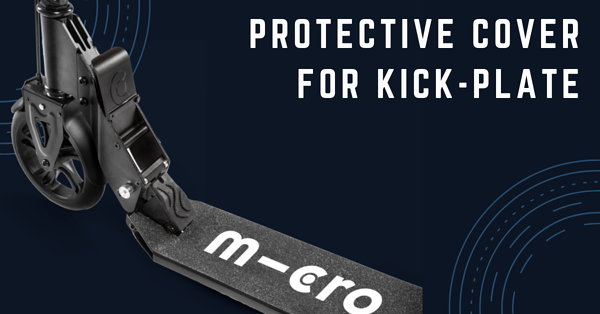 This brand new model from Swiss-designed Micro Kickboard is packed with features that make it a perfect fit for getting around in your city. Sleek design and extreme convenience come together in our newest scooter for adults. The Micro Downtown features a low-to-the-ground deck, making your ride effortless. No need to bob up and down while you ride; the deck sits just 2 inches from the ground. It’s the best scooter for cities. Unique to the Micro Downtown is its folding mechanism. 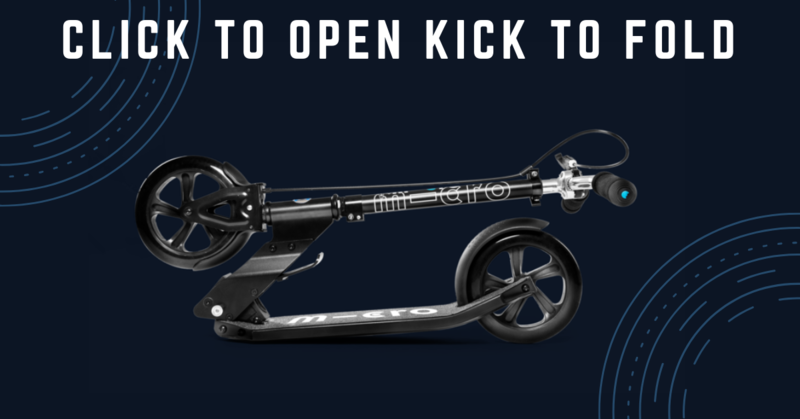 While all of our adult scooters are foldable with a double button folding mechanism, we’ve made the Micro Downtown as convenient as possible, allowing you to fold the scooter with just a kick. Click to open and kick to fold. 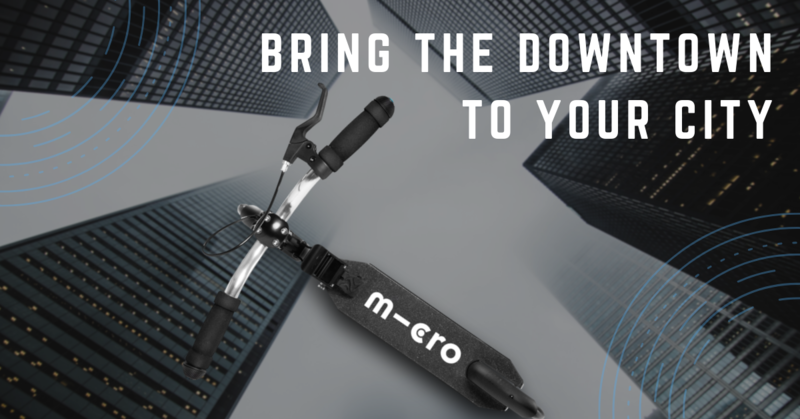 The Micro Downtown is our most convenient scooter yet! Also unique to the Downtown is its front hand brake. While most city rides tend to move at a slower pace due to pedestrians and stop lights, the hand brake is a useful alternative when it comes to slow stops. Use caution, brake slowly, and be sure to lean back when using the handbrake! A rear brake also comes standard on the Micro Downtown, which we recommend when quicker stops are necessary. Hopping off your scooter is also an option for quick-brake situations. 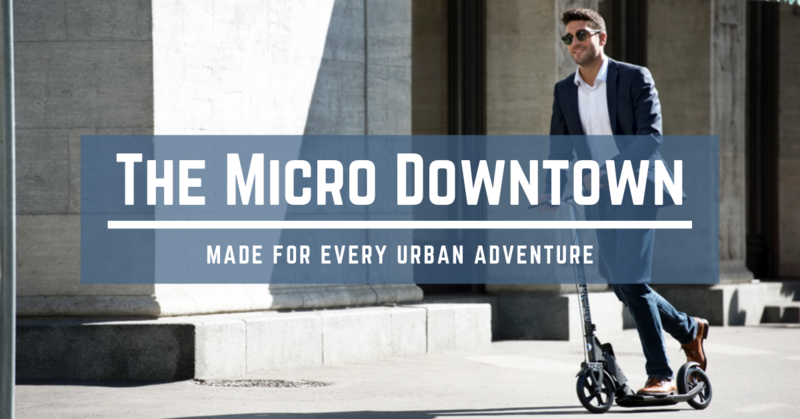 At Micro U.S. HQ, we can’t stop riding the Downtown. Throughout the office, in the warehouse, and beyond, we love its marriage of convenience and comfort, and we’re sure you will too.